Right before the start of their freshman year, Emma's family unexpectedly moves to England. The book club is stunned, but thanks to videoconferencing, they can keep the club alive. They decide to tackle Jane Austen's Pride and Prejudice, a particularly fitting choice. In England, Emma deals with a new queen bee, Annabelle, who makes her life miserable. And back home, Annabelle's cousins—who have swapped homes with the Hawthornes—whip the rest of the school into a frenzy. Cassidy clashes with moody Tristan, Concord's own version of Mr. Darcy, and everyone is taken with his younger brother Simon. 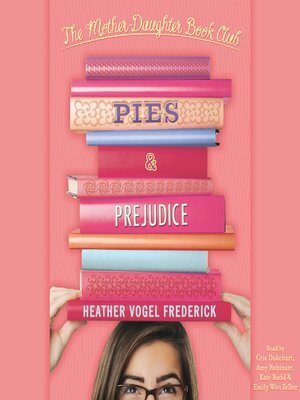 Desperate for life to get back to normal, the girls throw a bake sale to raise money and bring Emma home—and suddenly, they have a thriving business, Pies & Prejudice. But when the plan they cook up falls short, will the book club ever all be together again?